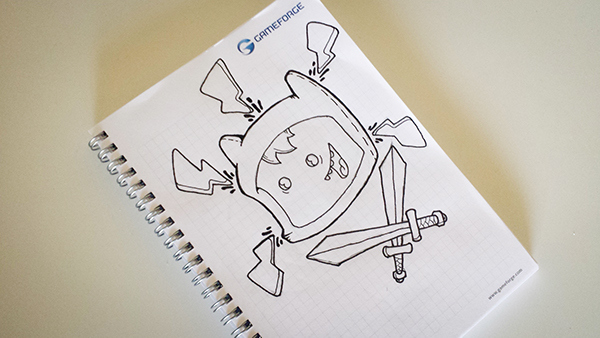 If you can answer that question then you already know that this illustration is a tribute to Finn from Adventure Time. My series of psychedelic neon characters has grown in popularity, thus I decided to create yet another design so that fans could add it to their collection. However, this time I opted for a brighter background. 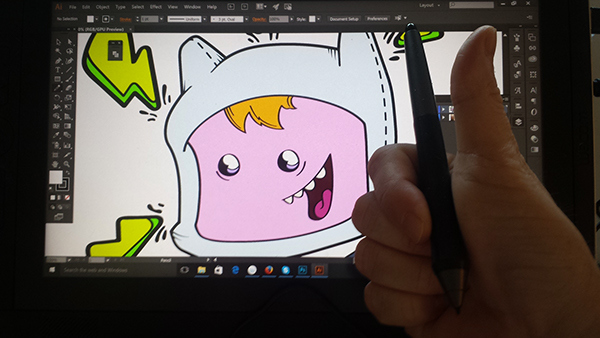 I felt that Finn's character deserved something different and the brightness really makes him pop. 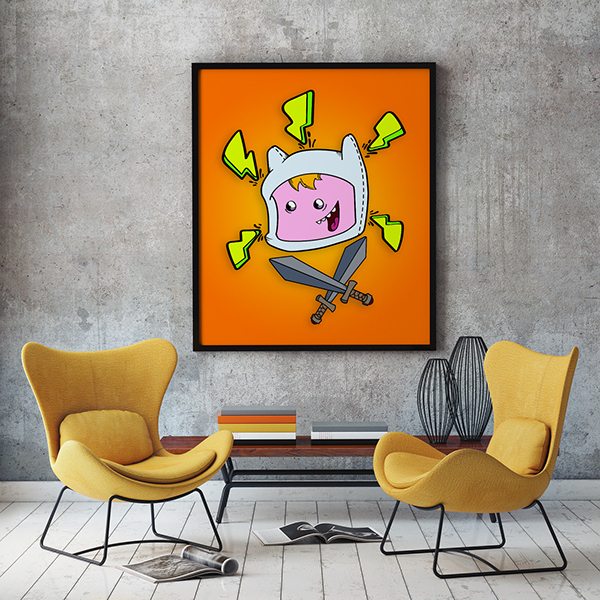 Finn is available in my Redbubble shop as prints, t-shirts, bags and more. Click HERE for more details! Art Director Kenneth Shinabery adds yet another character to his series of psychedelic neon cartoon characters. 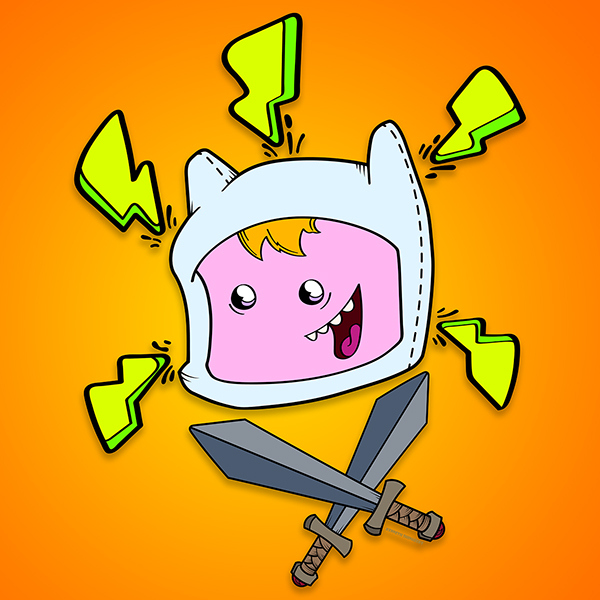 This time he features Finn from Cartoon Network's Adventure Time!